What a weekend it has been for my little family. Yesterday was probably the first time in my entire life where I was surrounded, literally, by people that LOVED. 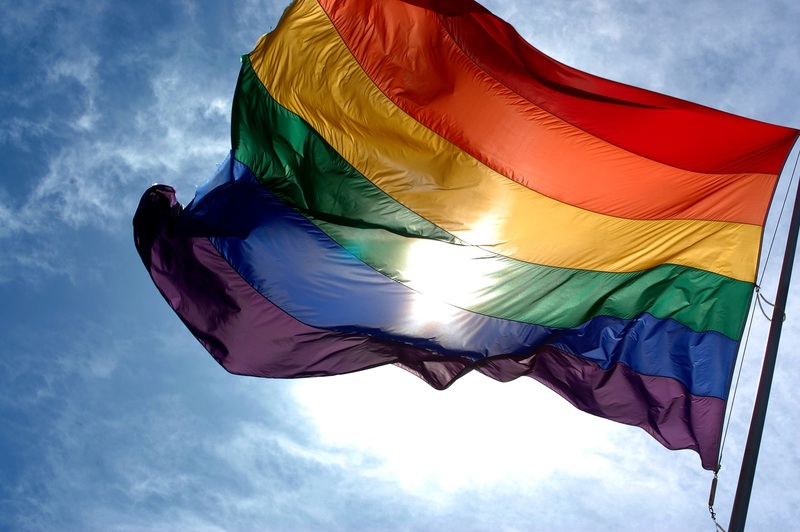 I have never felt that kind of overwhelming acceptance, inclusion and love ever. All races, all genders, all kinds of families. I spent all day looking around at all the people that are deemed unworthy of being accepted and treated like they are anything less than human. Deemed not worthy of the love God has for them. Hated for who they were born to be. I looked at my own children and realize that they are in that crowd on the other side of that invisible line that our society has created. As their mom and as a mom, it’s heartbreaking. Friends, no matter what you think, what you’ve been taught, or who you have in your life, until you have skin in the game, it’s just not the same. I’d like to think that I have always been accepting of everyone but wow was I kidding myself. I have spent the last 2.5 years reading, praying, weeping and learning from my children about what it means to love like Christ loved. I have desperately clawed my way to what I think God’s heart is on this. Yesterday was like taking those 2.5 years and wrapping it around me like a warm rainbow flag and plopping it directly into the middle of that crowd of 200,000+ people. Dancing, laughing, crying, smiling, hugging and being who they are. I can not describe how it made this mama’s heart feel to see strangers love on my child. Yesterday was just everything for this mama bear who is still finding her feet, still trying to learn how to support and include the LGBTQ community in the best way that I know how. I challenge anyone reading this with that eye-roll, pausing your finger over that unfriend button or Bible thumping me in your head to take the time to discover what you believe. Search God’s heart on this if that is what is giving you pause. Imagine you had skin in the game. What would you do? I do know one thing, you’d never want to have to choose between your loved one and God or your loved one and your church. I don’t think that is what He asks of us. So, take the time. I promise you won’t be sorry. Your heart will be expanded like the Grinch on Christmas and it’s almost more than you can handle on some days. You will be a better person for it, you will love harder for it. Maybe next year you’ll be there in that crowd hugging strangers and weeping for all the love that you just didn’t know was there for you all that time. About the Author: Heather Diaz is the proud mother of Isabelle and Ximena Diaz. 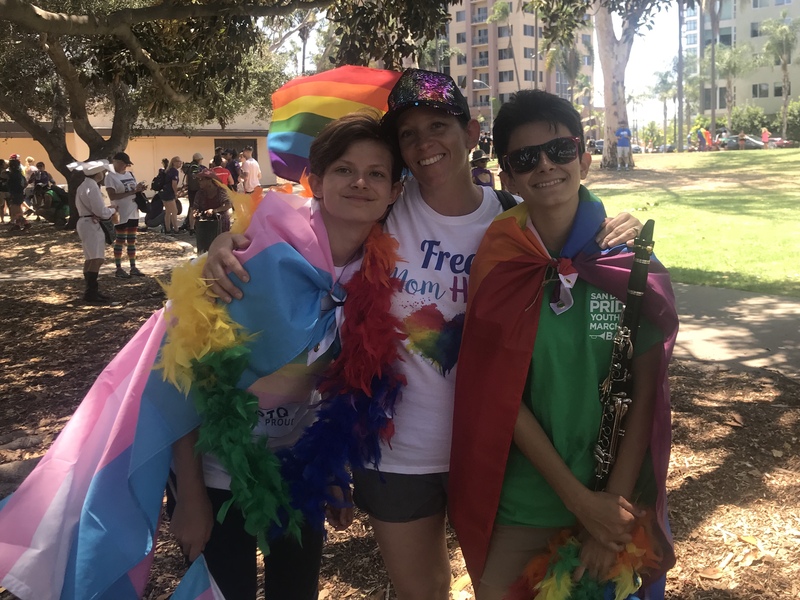 Heather attended Pride’s events with her two children and her husband, Joel Diaz. 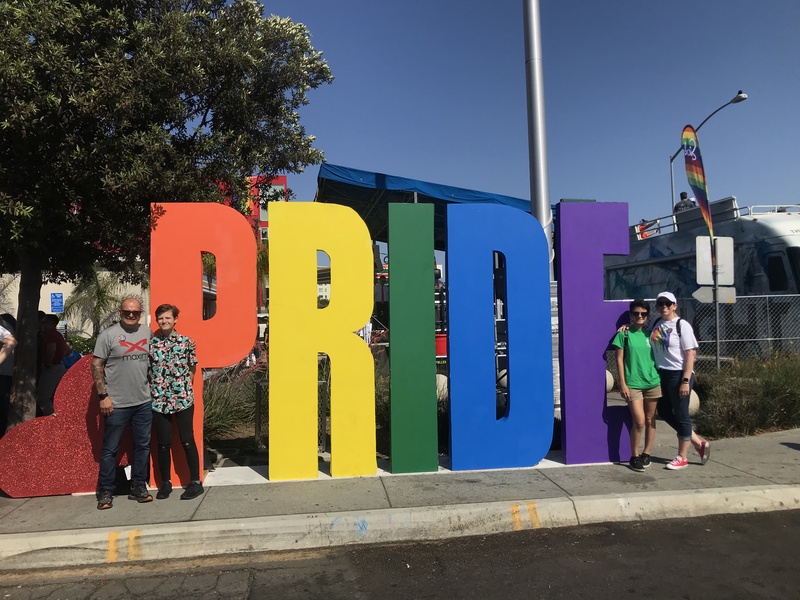 After attending the events, Heather reached out to us with how her family celebrated Pride. Both of her children came out roughly 2 1/2 years ago and this was their first Pride event as a family.